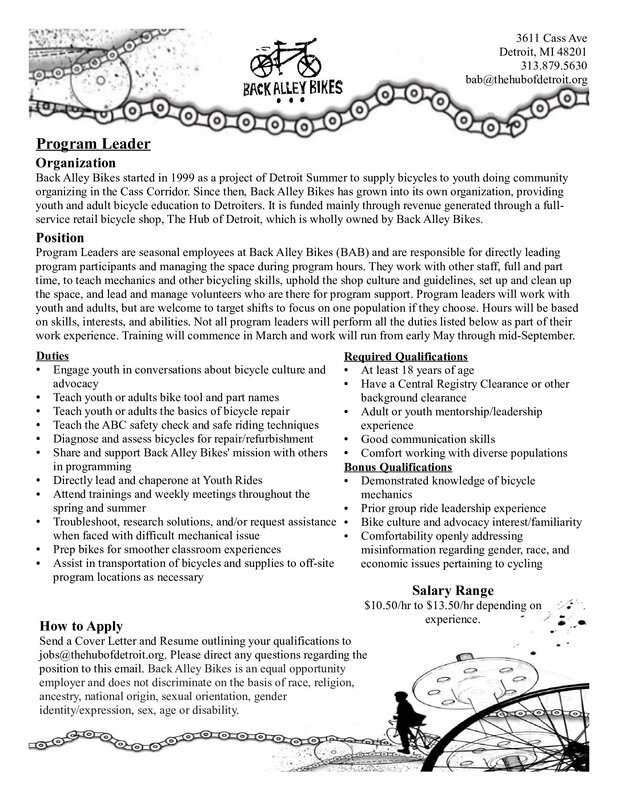 Looking for an awesome job this summer? 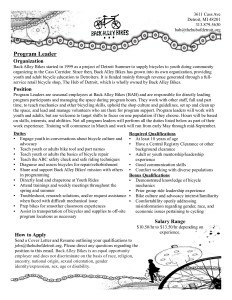 Want to hone your skills as a bicycle mechanic while teaching others what you know? We would love to hear from you. Email jobs@thehubofdetroit.org.